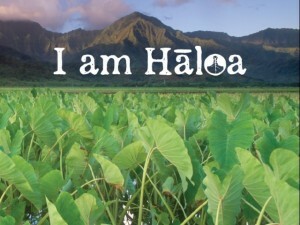 Two Whole Foods Market Hawaii locations, at Kahala Mall and in Kailua, will be supporting the “I am Hāloa” film project in upcoming Community Support Days. On Wednesday, May 21 at Whole Foods Kahala and Wednesday, June 11 at Whole Foods Kailua, shoppers are invited to shop in support of the project with five percent of the days’ net sales donated to Hawaii Maoli for “I am Hāloa,” the nonprofit fiscal sponsor of the independent film. Whole Foods Market stores nationwide organize Community Support Days throughout the year. On each of the two Community Support Days, Daniel Anthony, film documentary subjects Lahela Paresa, La’ahiahoaalohaokekaimalie Kekahuna and Taylor Anne Meali’i Fitzsimmons and other members of the pa`i`ai community will demonstrate the ancient practice of hand-pounding steamed taro into pa`i `ai and will offer samples to customers to taste. “We are so pleased to support this important project and expand the partnership that began with Daniel as a supplier of pa`i`ai in our seafood departments,” said Dabney Gough, Marketing Team Leader at Whole Foods Market Kahala. “Our team members are particularly excited to support the work of ‘I am Hāloa’ because their mission aligns well with our core values, and complements our own task force to bring Hawaiian staple foods such as kalo and ‘ulu into our Whole Foods Market kitchens. These projects inspire us not just to understand the culture of the community where we live and work, but to be active participants in improving the health of our friends and neighbors,” said Shannon Cardellina, Marketing Team Leader at Whole Foods Market Kailua. “I am Hāloa” tells the story of three 17-year-old Kamehameha high school seniors, Lahela Paresa, La’ahiahoaalohaokekaimalie Kekahuna and Taylor Anne Meali’i Fitzsimmons, who embark on a 90-day journey of self-discovery under the guidance of their kumu and kalo ku’i practitioner, Daniel Anthony. Together they will travel throughout the Hawaiian Islands to better understand their ancestry and to re-establish a lifestyle link to the first Hawaiian, Hāloa. For 90-days they will commit to cultivating, harvesting and eating kalo (taro / poi) for three meals a day. During these 90-days the young women will travel from Oʻahu to Kauaʻi, Maui, Molokaʻi, Moku o Keawe, Kahoʻolawe, and Lānaʻi to learn from some of the most respected leaders in Hawaii about the past, the present, and the future role that Hāloa could play in guiding the people of Hawaii. “I am Hāloa” will explore the inherent values and conflicts that come with incorporating Hāloa into modern lifestyles and the innovative, savory new ways this ancient, sacred food is revolutionizing global cuisine through a sustainable kalo culture. These three young women will work with several of Hawaii’s top slow-food-minded chefs who believe in cooking with fresh, locally-sourced ingredients. Chefs include Lee Anne Wong, Ed Kenney, Mark Noguchi and Andrew Le, who are committed to incorporating pa’i’ai into the menus of their progressive kitchens. Ongoing donations are welcome in order to help send the girls to Hawaiʻi Island, Kahoʻolawe, and Lanaʻi. All donations from the www.iamhaloa.org website are tax deductible and will be received by Hawaii Maoli a 501(c)3 Non-profit organization under the leadership of Executive Director, Maile Alau. Whole Foods Market was founded in 1980 in Austin, Texas, and is the leading natural and organic food retailer. As America’s first national certified organic grocer, Whole Foods Market’s company motto is “Whole Foods, Whole People, Whole Planet.” Thanks to the company’s more than 78,000 employees, Whole Foods Market has been ranked as one of the “100 Best Companies to Work For” in America by FORTUNE magazine for 15 consecutive years. In fiscal year 2013, the company had sales of $12.9 billion and currently has more than 360 stores in the United States, Canada and the United Kingdom. Submitted by Whole Foods Market Kailua/E-PR. This entry was posted in News and tagged charity, documentary, film, kalo, taro. Bookmark the permalink.